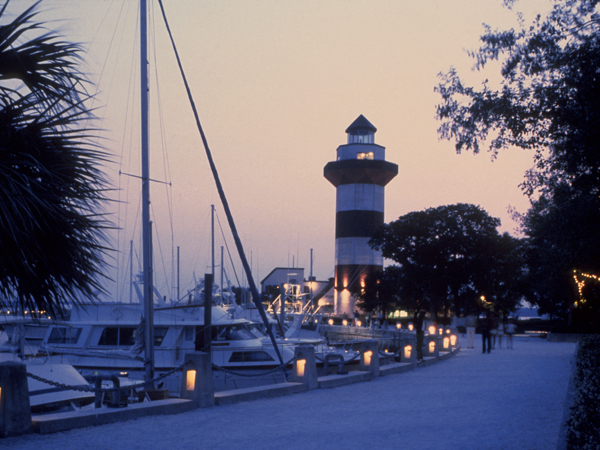 This 5,200-acre residential community was developed on the southern point of Hilton Head Island. The concept originated in 1956 with developer Charles Fraser, whose father had purchased the land for timber harvesting several years earlier. Fraser wanted to create a destination that also respected the environment. He purchased his father’s interest and created the Sea Pines Plantation Company. Sasaki, Dawson & DeMay, with a design team that included landscape architect William “Bill” Johnson, was hired to design the community. 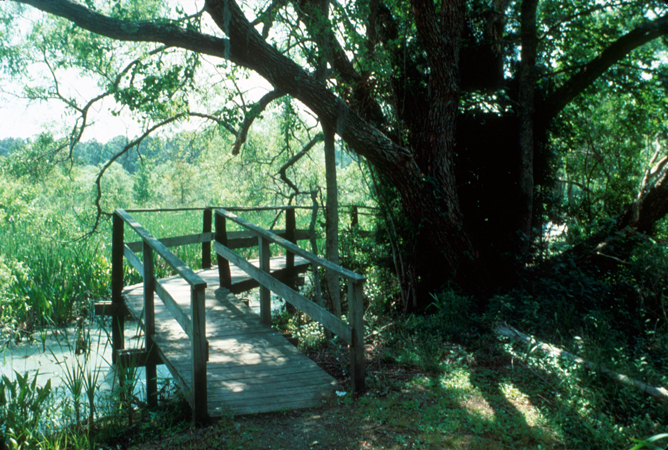 The plan included strict land-use covenants and the preservation of open space, resulting in the 605-acre Sea Pines Forest Preserve. 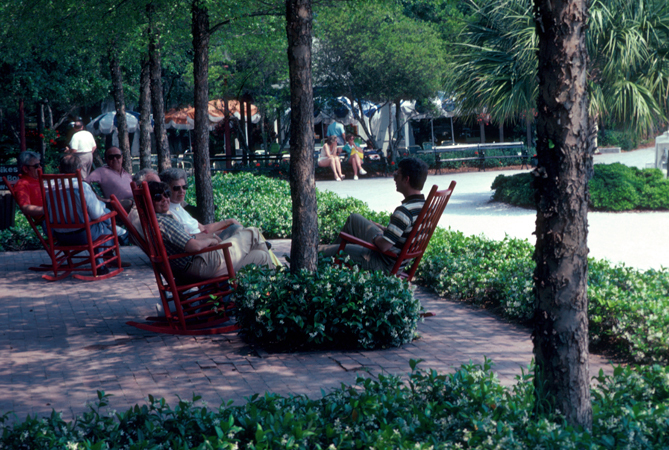 Among the early landscape architects who worked on Sea Pines residences was Ed Pinckney. Initially known as Sea Pines Plantation, it was among the first destination resorts built in the United States after World War II, and became a model for resort communities worldwide. “Plantation” was removed from the name in the 1970s due to its negative associations. Surrounded by the Atlantic Ocean and Calibogue Sound, Sea Pines contains five miles of beach and maritime forests. Sea Pines Drive, the main traffic artery, is set back from the eastern shore, with residential cul-de-sacs that extend towards the sea. Architects designed the clustered residences to blend into the landscape, with wood shingle siding, screened-in porches, and native plantings. Intended by Fraser to be the island’s iconic landmark, the Harbour Town Lighthouse was completed in 1970 on the island’s western shore. The community also features four golf courses: Atlantic Dunes (built in 1960 as the Ocean Course), Heron Point (built in 1961 as the Sea Marsh course), Harbour Town Golf Links (built in 1969), and the private Country Club Course. Sea Pines was listed in the National Register of Historic Places in 1970 for its archaeological potential.